4 great seats on the aisle! ... 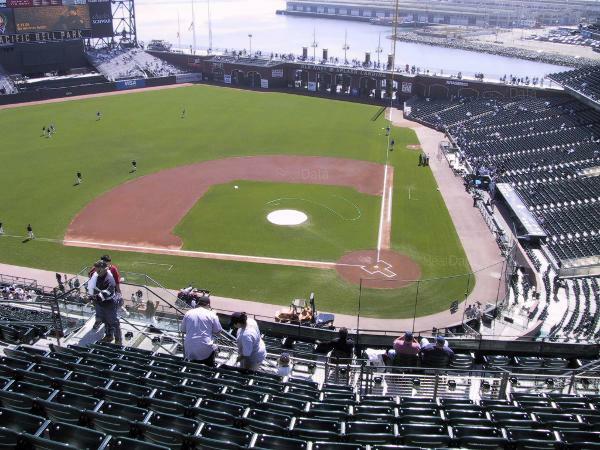 Fantastic view of both the field and McCovey Cove. ...NEW for the 2019 season is 20% off concession stands and Giants Dugout during the game. .... Feel free to make an offer on the specific games you want to attend. The more games you buy the more willing I am to work with you on the price. I'm willing to accept Paypal payments provided you avoid the fees or cover them yourself. ... If you would like to purchase tickets at face value via 'draft style' - please see my other listing entitled "Family Fun II" in Sect. 323 Row B. ... Thanks for looking and Go GIANTS!!!!!! Currently many of the Sunday dates are spoken for (they haven't been 'paid' for yet and so that's why they are still listed). However, Sundays April 7, April 14, June 9, and Sept. 1 are still available if you want them. All the Sunday dates are available in my other listing (Sect. 323 Row B), but I'm hoping to do a 'draft' for those games. However, if there is not enough interest in a draft by March 1 I will offer those games to be purchased individually. .... Let me know if you are still interested and hopefully we can work something out. Thanks!